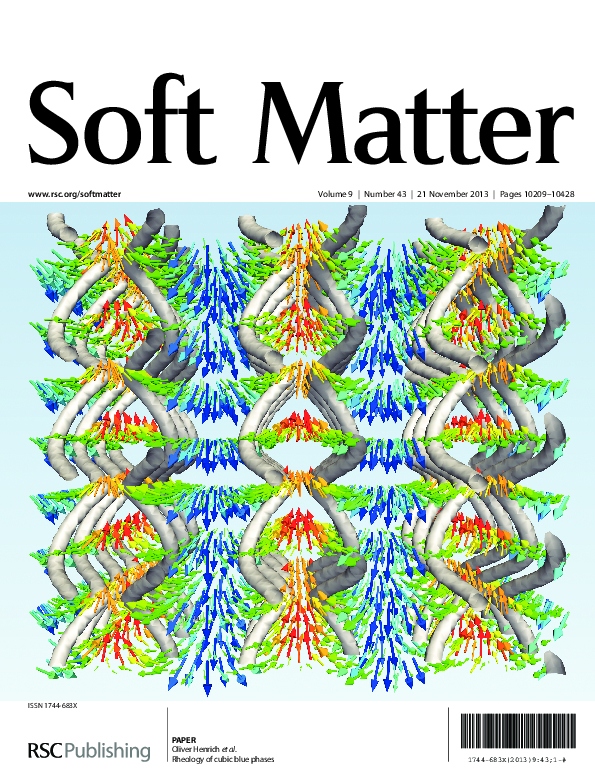 Soft condensed matter is an interdisciplinary field at the interface of physics, chemistry and biology. It covers a variety of physical, mostly liquid or gel-like states and systems, which are easily deformable by thermal stresses and fluctuations. Complex fluids such as liquid crystals, colloidal suspensions, glasses, amphiphilic mixtures, polymeric liquids, foams, gels, granular matter and a number of biologically relevant substances fall into this category. These materials are ubiquitous and share the common feature that their generic physical behaviour occurs at energy scales comparable to thermal energies at room temperature. This is why we call these materials ‘soft’. A particular focus of my research is on the structure and flow behaviour of liquid crystalline and nano-composite materials. I have also a keen interest in coarse-grained simulation of DNA and RNA. We try to understand the dynamical behaviour of these systems, which occurs typically on mesoscopic time and length scales that are between those of the microscopic world of atoms and the macroscopic world we live in. Mesoscopic length scales for instance are in the range of several nanometre (10^-9 m) to micrometre (10^-6 m). Neither fully atomistic descriptions nor continuum models are appropriate to describe these systems consistently. The mesoscopic nature of soft matter and its propensity to self-assemble into more complex structures requires specialised, coarse-grained simulation methods that retain only the relevant physical degrees of freedom. I use methods and principles from statistical physics and computational fluid dynamics such as the lattice Boltzmann method and high-performance computing for my research. If you are interested, you can find more details in my publications.